After the books and the movies, the world believed they had seen every shade of Christian Grey. Turns out there is a new shade of Grey, and this one can sing and dance. 50 Shades! 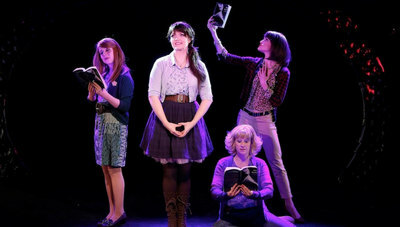 The Musical Parody follows the story of 3 women who are members of a book club. The book club just happens to pick the Fifty Shades of Grey book series as their chosen literature. As the "book club" discuss different parts of the book, their interpretations are musically performed in a very unique sort of way. This production is strictly over 18s only. 50 Shades! The Musical Parody is the perfect night out for the girls (and guys) as you discover just how many shades of grey there can be. See 50 Shades! The Musical Parody as part of the Melbourne International Comedy Festival from 27 March - 7 April, 2019. When: Wed 27 Mar - Sun 7 April 2019.